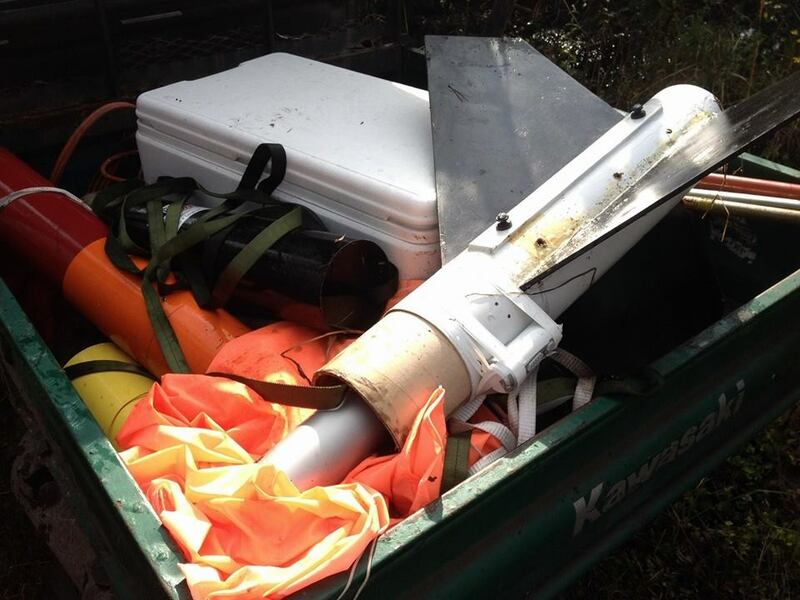 I launched my YouBee, a 12-foot tall upscale of the Odd’l Rocket’s Break Away rocket, on a CTI L1115 motor at NEFAR’s Bunnell Blast on November 9. 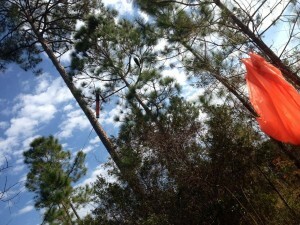 The rocket reached about 5000 feet in altitude. Unfortunately, the main parachute deployed at apogee. The rocket was designed to break apart, like the Break Away, then fall in a “Wacky Wiggler” style for a few thousand feet before the parachute opens. 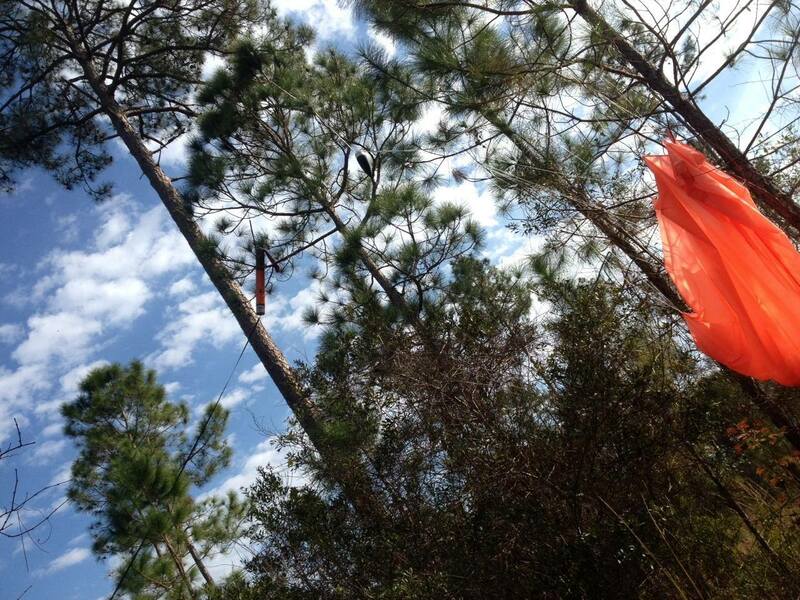 Instead, the 10-foot Top Flight parachute came out at apogee which caused the rocket to drift about two miles before landing in some tree tops. The rocket spent almost six weeks in the wild before a couple of local hunters found it and returned it to me. At first I was pleased with how good the rocket looked after spending weeks outdoors including days of very heavy rain. I left the rocket in the garage to dry out for several weeks before I finally got around to taking a closer look at it. When I did, I discovered that the wetness had dissolved the glue holding the layers of paper together in the cardboard tubes. The tubes can be easily unraveled, peeled open like the wrapper around a can of Pillsbury refrigerator biscuits. I was able to remove the tube from the fin section leaving the fin can intact. That’ll give me a head start when I decide to rebuild the YouBee. But, I’m going to retire the YouBee, at least for now. 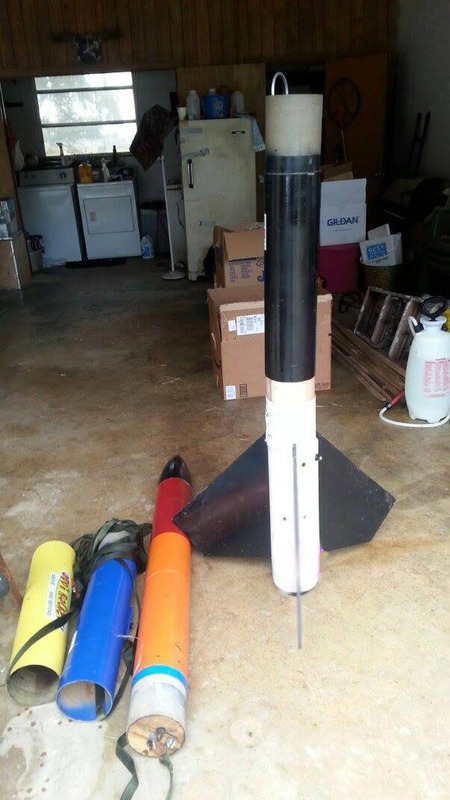 Instead, I’ve decided to build a 4″ diameter upscale of the Break Away which should end up about eight feet tall. It’ll be easier to prep and launch than the big one and will fly on smaller, less expensive motors. Eventually, though, I may decide to rebuild the YouBee. This entry was posted in NEFAR Launches, Videos, YouBee and tagged bunnell blast, nefar, video, youbee on January 24, 2015 by Roger.